A Taiwanese businessman named Lin Weilin (林偉琳) has been accused of spying on behalf of China's government in order to pay off his debt. According to Taiwanese media reports, the 39-year-old Lin served as a petty officer in Taiwan's marine corps, but he resigned his post in 2000 and moved to mainland China. In Suzhou, a major city in southeastern Jiangsu Province, he pursued a career in business and cultivated ties to the Chinese Communist Party (CCP). Lin joined various Communist organizations aimed at promoting Beijing's goal of unification with Taiwan. He became president of the Suzhou-Taiwan Youth Association, vice president of the Suzhou-Taiwan Investment Association, and committee member of the Youth Federation. He also took part in a training course organized by the Communist Youth League of China. Lin established two businesses, one in 2011 and another one in 2016. But he amassed debt of more than a million Renminbi (around US$150,000) and he was sued by creditors. Lin contacted a Communist Party official surnamed Wu and asked him for help to win the case. It was then that Mr. Wu in return for his assistance demanded that Lin spied on behalf of the Chinese authorities. In 2016 Lin travelled to Taiwan to attend a junior high school class reunion. He discovered that one of his former classmates, a man surnamed Peng, worked for the Ministry of Justice Investigation Bureau, Taiwan's criminal investigation and counter-intelligence agency. In September he contacted Peng and tried to recruit him as a spy. "China [對岸] wants to make friends with you," Lin allegedly said. "If you provide intelligence, I will give you money ... 200,000 Taiwan dollars [about US$6500] to begin with." In June 2017 Lin told Mr. Wu about his ex-classmate's position. Lin began travelling back and forth from mainland China to Taiwan. He promised Peng not only money, but also a future government job in China. Lin met Peng in October 2017 and March 2018. Peng refused to collaborate, but Lin did not give up. "What's the matter?" he allegedly told Peng. "One or two million are no problem for him [Mr. Wu]." "In the future there will be a government job opportunity." Lin even bragged that Mr. Wu was working directly for "Uncle Xi," the nickname used in China's state media for President Xi Jinping. Peng eventually reported Lin to the police, and he was detained on May 24. 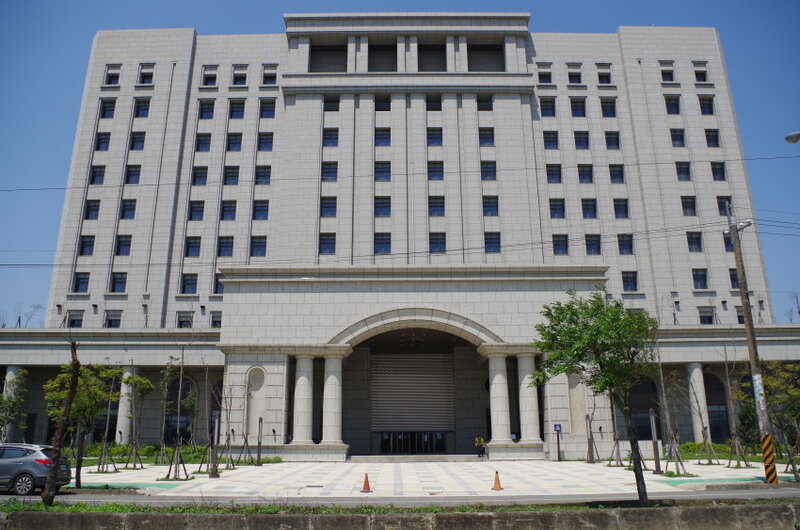 On July 20 the Taoyuan District Prosecutors Office in northern Taiwan charged Lin with violating the National Security Act, the National Intelligence Operations Act, the Anti-Corruption Act, and other laws. The National Security Act prohibits Taiwanese citizens "from carrying on detection, collection, consignation or delivery of any confidential documents, pictures, information or articles or developing an organization for official use of a foreign country or Mainland China, for its militaries, party duties, or other official organizations." The prosecution stated that Lin Weilin had "sold out himself, his friends and his country for money and showed no remorse," and asked that the judge mete out a severe punishment.